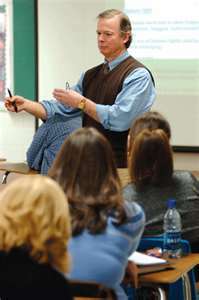 The University of Tennessee in Knoxville (UT) has a program starting in the fall of 2011 where students with mild to moderate intellectual disabilities and autism will be able to attend. The program will allow them to hold campus jobs, audit courses, and possibly live in the dorms. At the end of the two year program, the student will graduate with a vocational certificate, but the education and training during the program will be helpful in moving them on to full time jobs (on or off-campus) and living independently.